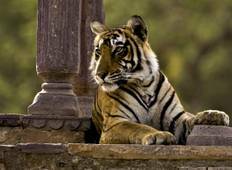 Find a Adventure trip that explores Ranthambore National Park. 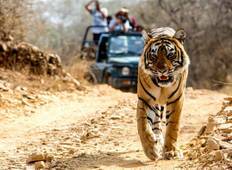 There are 82 tours to choose from, that range in length from 3 days up to 23 days. The most popular month for these tours is October, which has the most tour departures. "I was travelling with my 60 years old mother, great enjoying tour, friendly guide..."
"From the driver to the guides and accommodation we could not fault anything. Everything..."
"Travelling with Swastik India Journeys was amazing.Everything arranged by this agency..."
"Excellent service. Reliable and caring team. Only a phone call away always...Unforgettable..."
"Our tour was perfect.Everything was very well planned.Hotels we stayed at through..."